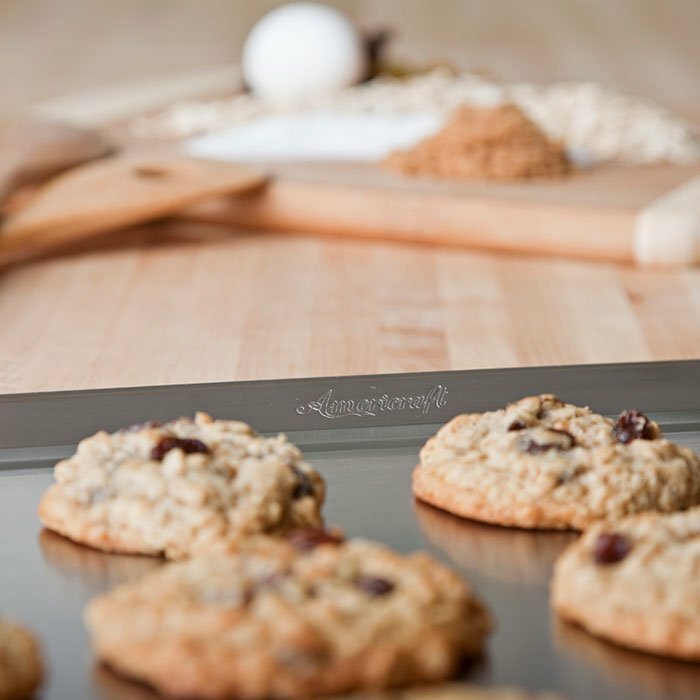 The sleek design of our stainless steel cake pans concedes to style while exceeding your expectations. The same quality that you have come to love and expect from 360 Cookware is now available in an oven-friendly design. Perfect for your next 2-layer masterpiece! 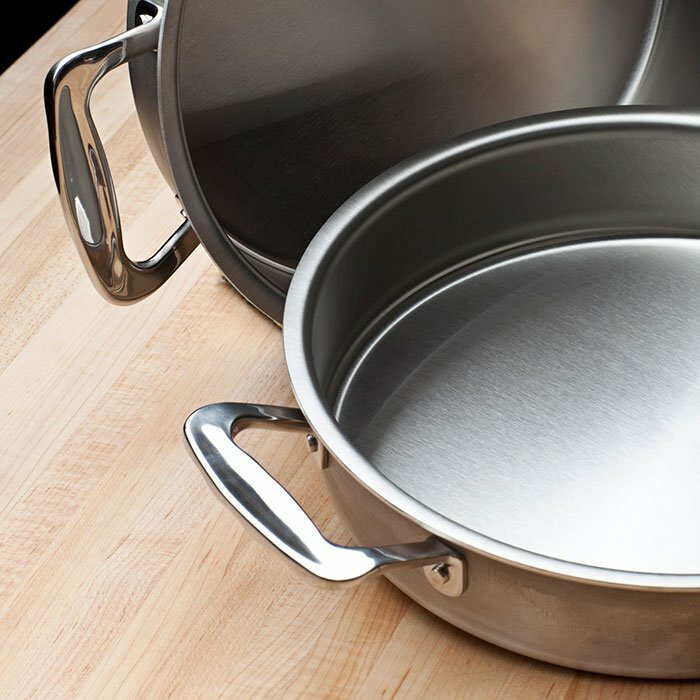 It’s made with 5-Ply construction and has a T-304 surgical stainless steel baking surface. No other bakeware cooks so evenly! It has convenient handles, and most importantly, it is 100% American Made. As is the case with every 360 Bakeware product, the Cake Pan is covered by a Lifetime Warranty. Diameter: 9" ~ Oven Safe ~ Dishwasher Safe ~ Cladded Matel ~ .07 Gauge ~ T-304 Surgical Grade Stainless Steel ~ 5-Ply ~Handcrafted in the USA.